Business Space Solutions have launched their latest serviced office centre Gateway West Business Centre, Gateway House, Gateway West, Newburn Riverside, Newcastle upon Tyne, NE15 8NX. Gateway West Business Centre is a brand new modern and well designed serviced business centre which can accommodate anything from 2 people to 250 desks. The offices are all tailored to meet the ever-changing needs of a modern day business and are available on flexible terms to suit. 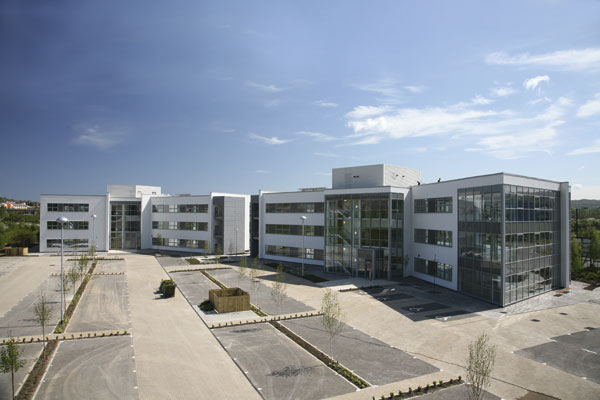 With fully furnished, air conditioned offices with all inclusive gas, electricity, business rates, service charges and daily cleaning – the business centre also offers a wealth of additional benefits including immediate occupation, state of the art networking and telecommunication facilities, fully equipped kitchens, boardrooms and meeting rooms, which have all been designed to impress. The property also offers a full reception service with all calls and visitors handled by dedicated and professional staff, providing the highest level of hospitality. Other facilities include plenty of free onsite car parking, 24/7 access, electronic door entry system to all offices, mail handling, secretarial services & photocopying facilities. Fully equipped meeting and training rooms are available for hire, by the hour, half day or full day, with free Wi-Fi as well as a full range of catering and audio visual technology available. Serviced Offices Newcastle available on flexible terms, Offices Newcastle, Newcastle Offices to Let. Business Centre Newcastle - Newburn Riverside. Office Space Newcastle.